The decision’s been made: you read our article about the quality of life on the Côte Fleurie and now you’re going to buy your secondary home! If you want to spend your holidays and weekends in Calvados, it’s a great idea. Buying a secondary home on the Côte Fleurie could also be a great way of investing over the long term! With the severe drop in the property market a few years ago there are many attractive properties with good prices waiting to be taken up. The Normandy property market is particularly attractive therefore it’s the right time to be buying your main or secondary home here. There are many properties for sale but buyers are often scarce. Although the price of houses and apartments remains high on the Côte Fleurie it is possible to lower these prices by negotiating, and negotiating is what we recommend. This particularly applies to properties that have been on the market for several months: the sellers are in a hurry, which gives you significant negotiating power. Do however be patient when searching for property in order not to have any regrets further on down the line. Negotiation is much easier on old properties as opposed to new. They often require work doing to them: you can use the size of the work needed to try and lower the purchase price. Older properties on the Côte Fleurie are also full of charm. It would be a shame to miss out on a beautiful property to renovate! 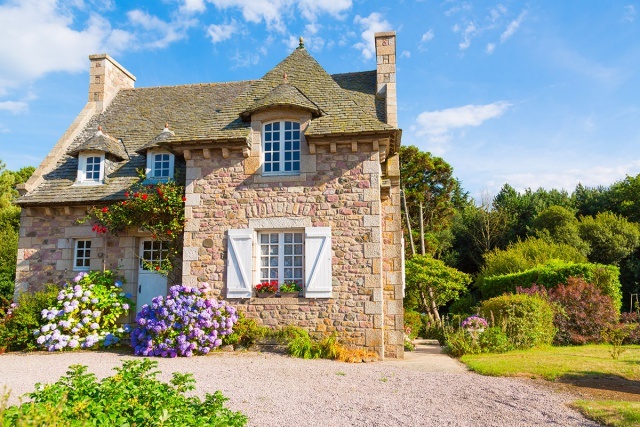 If you want to sell your Côte Fleurie secondary home but are not in a hurry we advise that you wait due to the property market being more complicated for sellers. If you still have questions about purchasing and financing a property on the Côte Fleurie or elsewhere in France contact CA Britline.